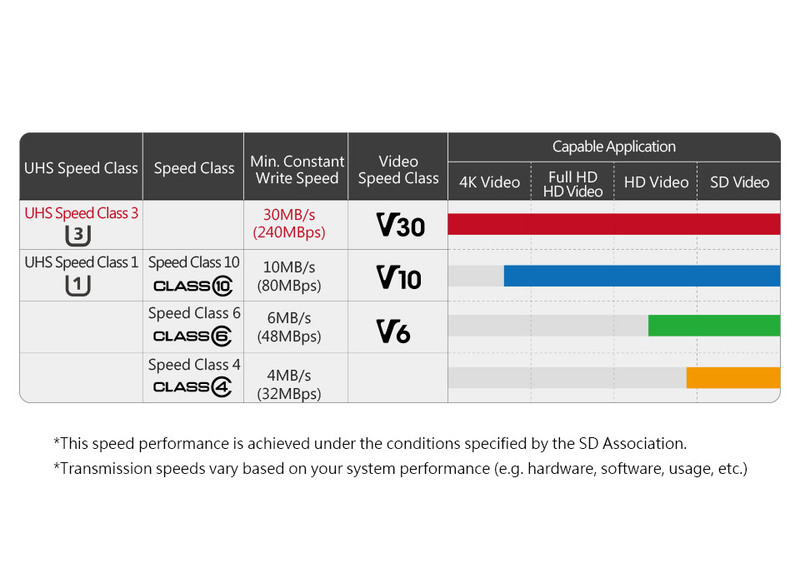 The V30 memory card complies with SD Association’s latest UHS Video Speed Class 30 (V30) standards. 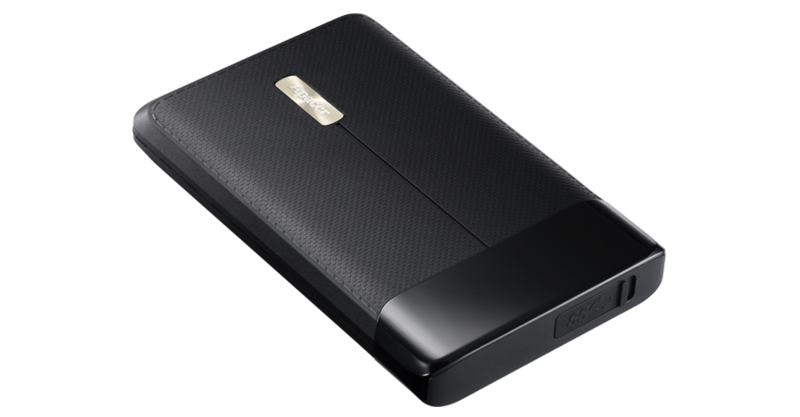 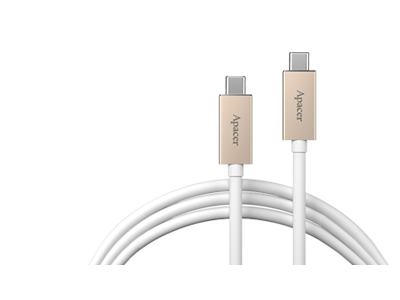 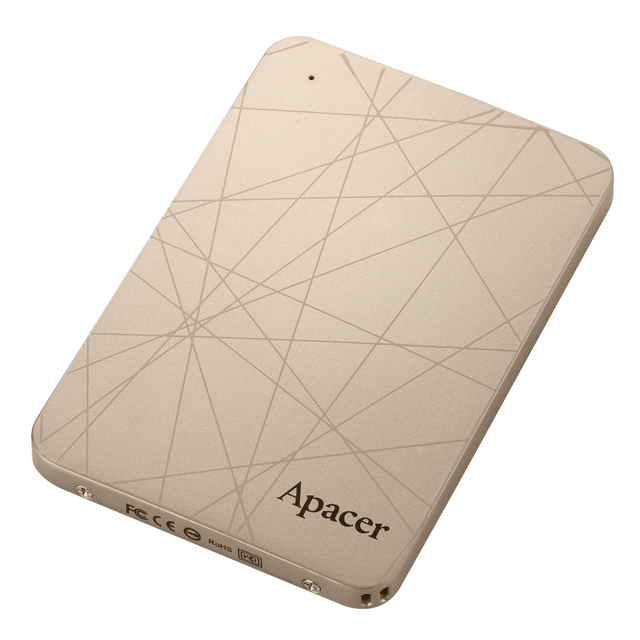 It writes with a minimum speed of 30MB/s, supporting 4K Ultra HD, 3D videos, and burst mode. 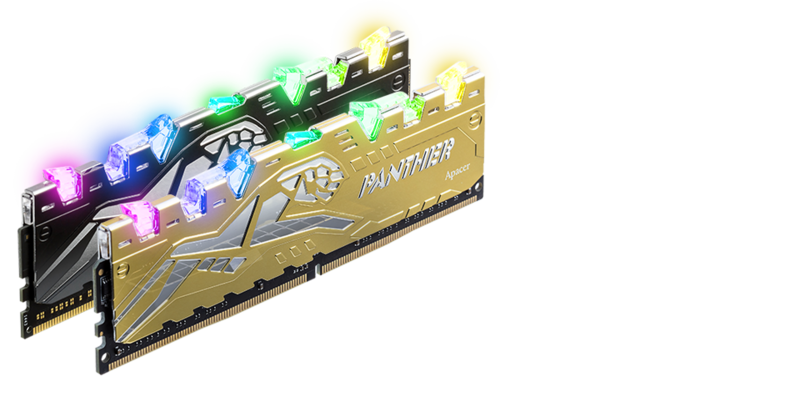 Compared to conventional memory cards, Apacer’s Video Speed Class card offers a more stable write speed to ensure uninterrupted smoothness during shooting, without problems such as drop frame or data loss. 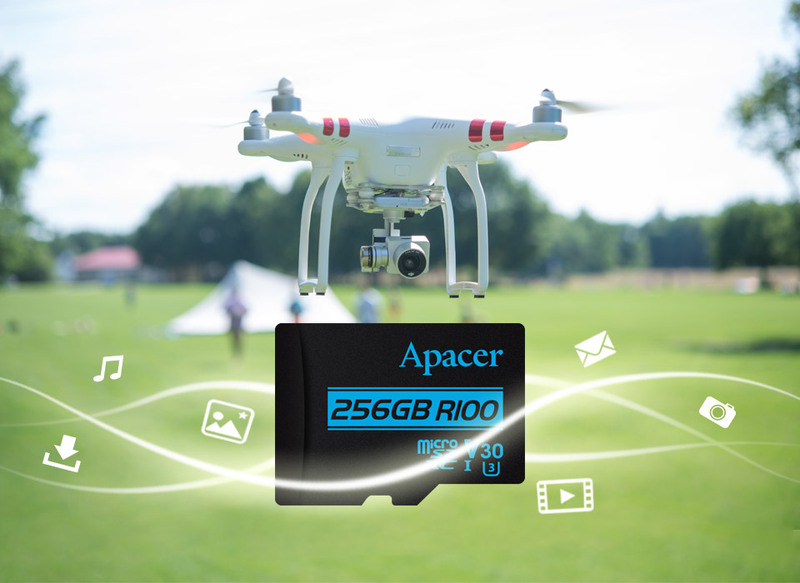 It is suitable for devices that captures continuous images, such as drones, sports cameras, 360-degree cameras, and 4K dash cams. 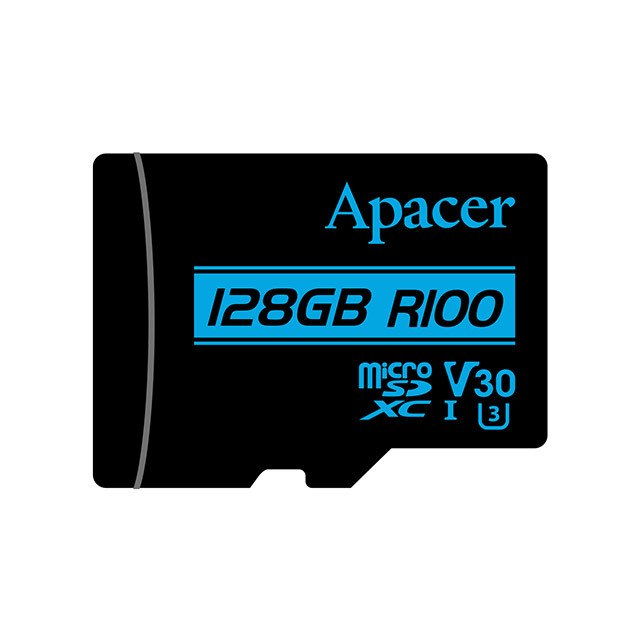 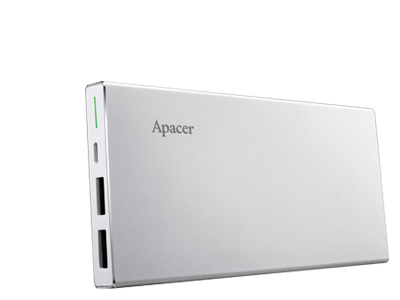 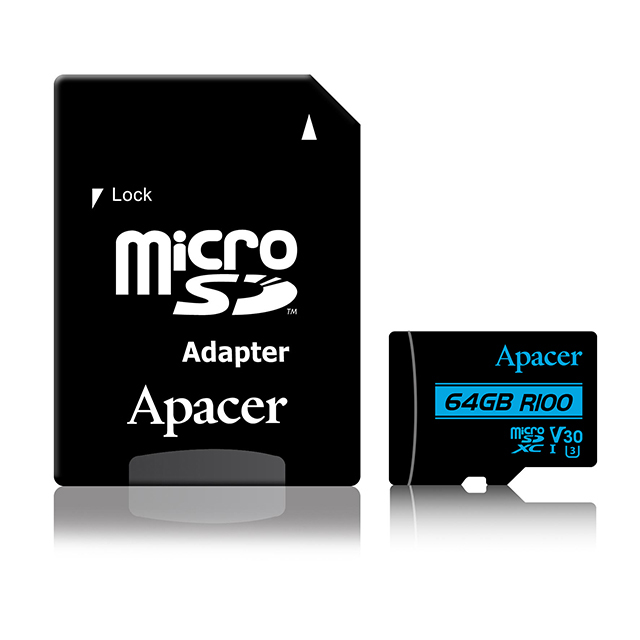 Apacer V30 memory card is tailored for 4K video recording and supports burst mode. 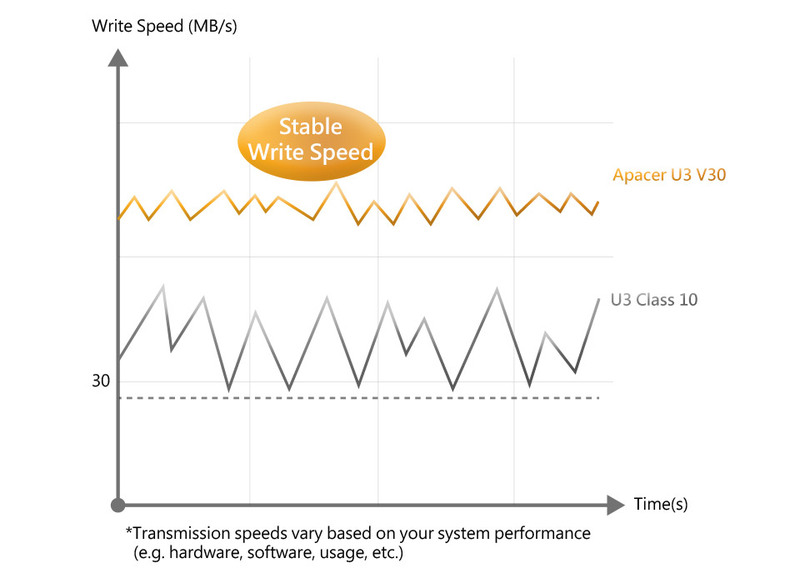 With a maximum reading speed of 100MB/s*; the time for file transmission is significantly shortened. 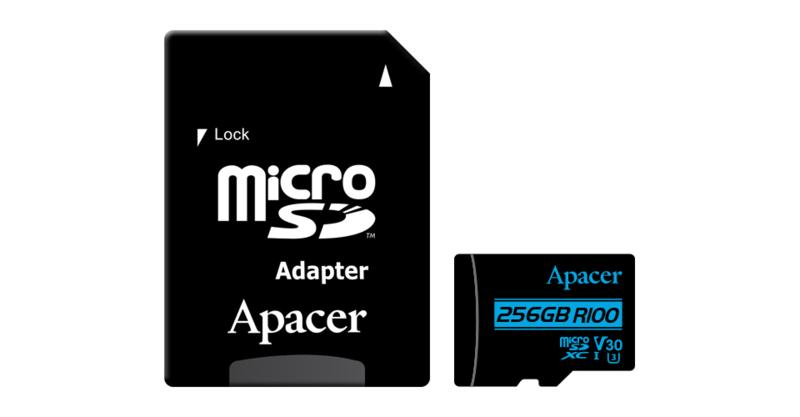 Available in 3 memory capacities, 64GB, 128GB, and 256GB. 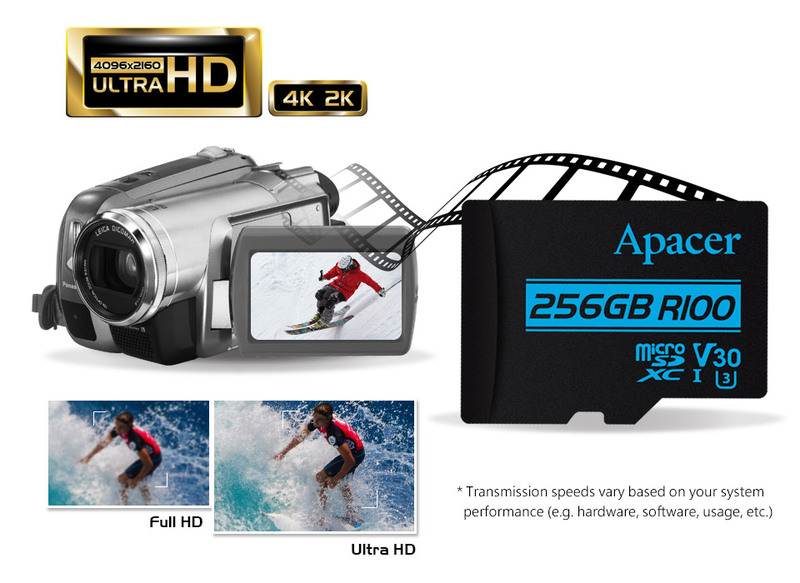 Now your professional video recorders, smartphones, or digital cameras can capture as many images as you like and never miss out any wonderful moments in life. 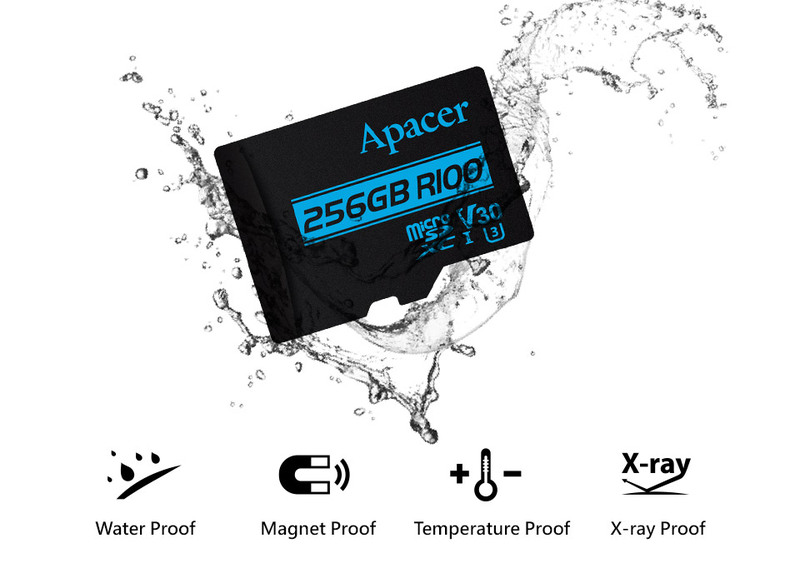 Apacer V30 memory card passes waterproof, shockproof, magnet proof, X-ray proof, and temperature proof tests and functions even in the harshest environments. 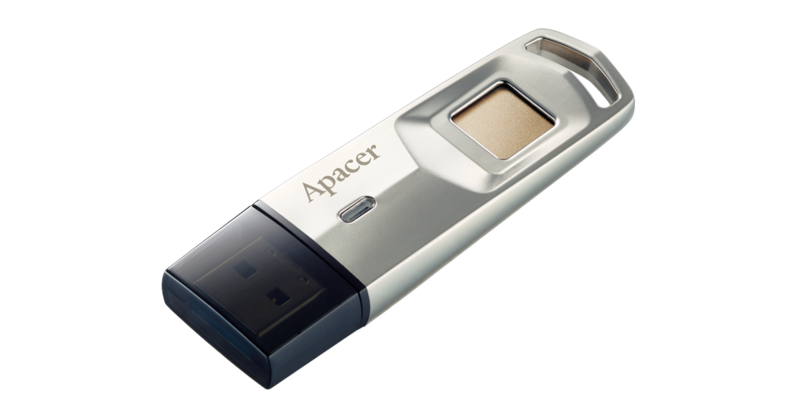 Equipped with write-protect and error-correcting code (ECC) features, V30 provides the most robust protection for your valuable data.